Year-round occasions call for green lights on green wire -- St. Patrick's Day, celebrating a promotion, sporting events, even Mardi Gras. 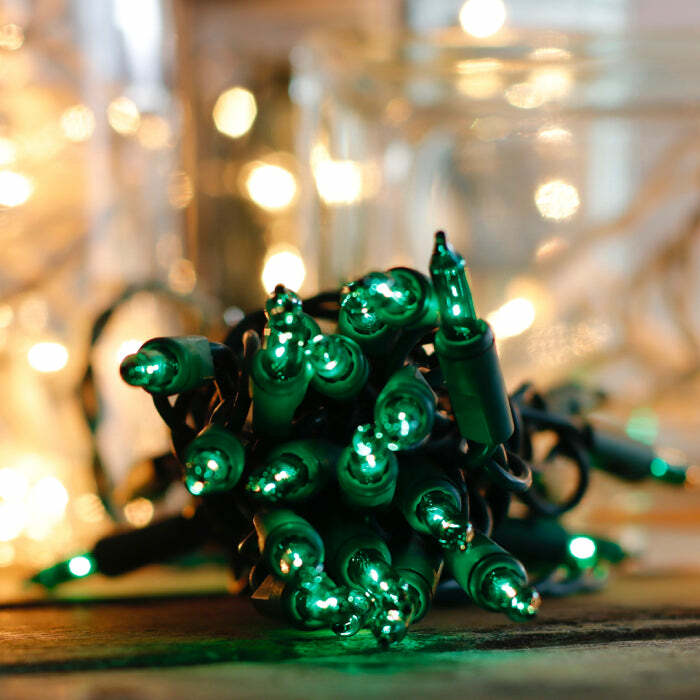 These green craft lights are a great choice for these celebrations. With 8.5 feet of lit length, both home decor and crafting projects will be elevated. Green wire blends well with any type of natural or artificial greenery. Use them on small trees or topiaries stationed by your front door. Even a fir garland strung across your fireplace mantle can use a touch of light for the holidays. Add red ornaments to truly bring out traditional Christmas colors. One of our favorite features of these lights is the 36 inch lead wire. This gives you plenty of "breathing room" to plug in your project without hunting down an extension cord. We want to see your photos of how your life is brighter with craft lights!